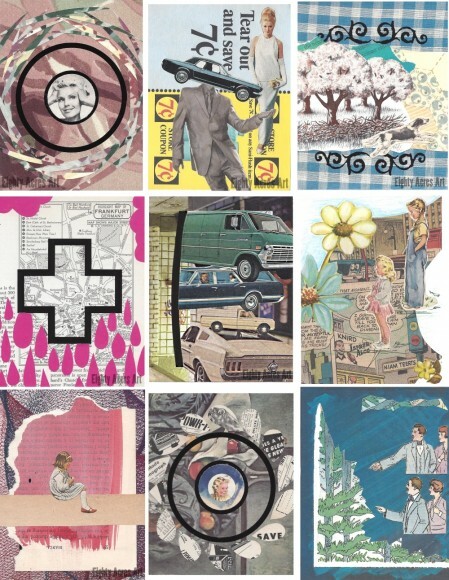 This is the third group of nine from my ongoing series of mini collages. All the collages are made from left overs from an abandoned line of work, using materials from old magazines, books, newspapers, scrap paper, etc. ; paint; marker; ink; and vinyl.